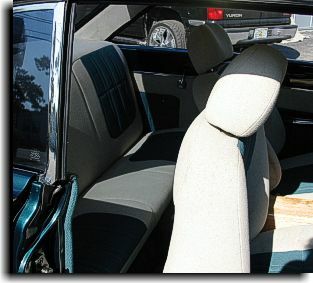 Catalina Custom built this two tone interior on this really nice Falcon for Mr. Jack Spicer of Tampa, Fl. 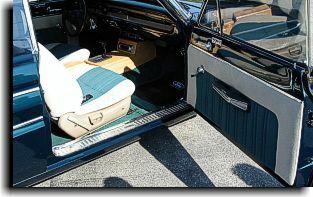 Tweed cloth was used for the seats and door panels. 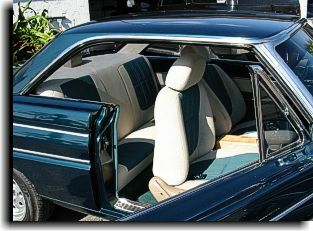 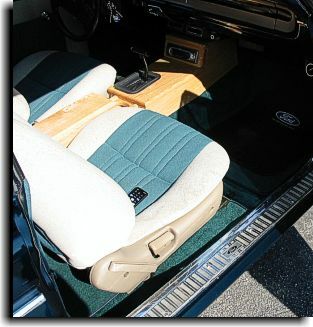 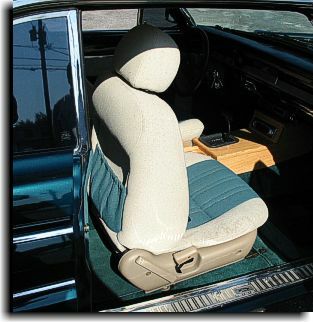 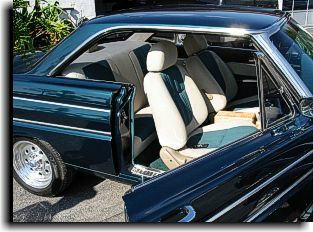 The rear seats was redesigned to match the front seats that Mr. Spicer wanted in the car. 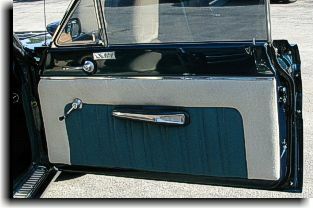 The door panels was also designed with the insert theme of the seats. 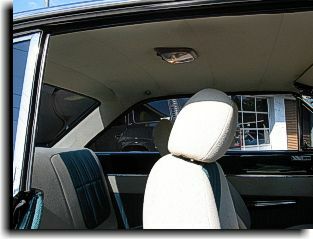 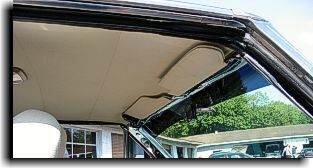 A white headliner and teal cut-pile carpeting finished off the interior.